This year Easter is the day after my mom’s birthday but she’s still hosting. That means we’ll make the drive up on Easter to spend the day with my family. We have a few Easter staples every year including ham, hash brown casserole, pierogies, and baked pineapple. My mom makes the hash brown casserole, baked pineapple, and ham. My dad makes the pierogies and the paska. All of these recipes are on my blog so if you need Easter dinner ideas check them out! Of course that means I’m in charge of dessert. I usually end up making either a cake or cupcakes and often decorate them with Peeps because it’s an easy and cute way to decorate and Easter dessert. While I’m still making cupcakes this year I wanted to make an easy and fun dessert recipe as well. 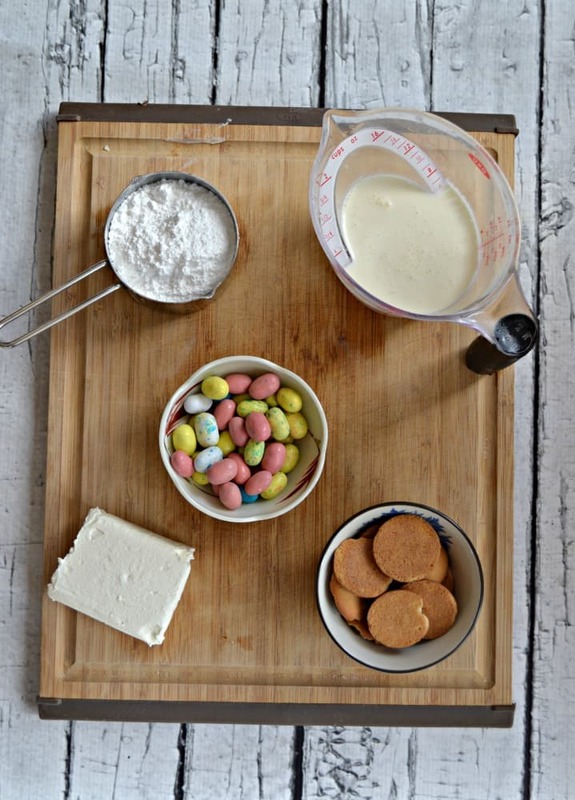 I found this recipe for Malted Milk Easter Dip. It caught my eye because of the bright colors of the Easter egg malted milk balls. 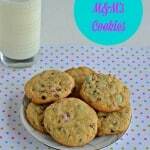 The original recipe had the malted milk balls as well as malted milk powder but I never have any malted milk powder on hand so I left that out and jut used more of the milk balls. I really liked this recipe because of how easy it is to make. Instead of spending an hour in the kitchen making dessert I simply spent 10 minutes and I had a delicious dessert I knew my family was going to love. It looked pretty, it tasted really good, and it’s fun to eat! 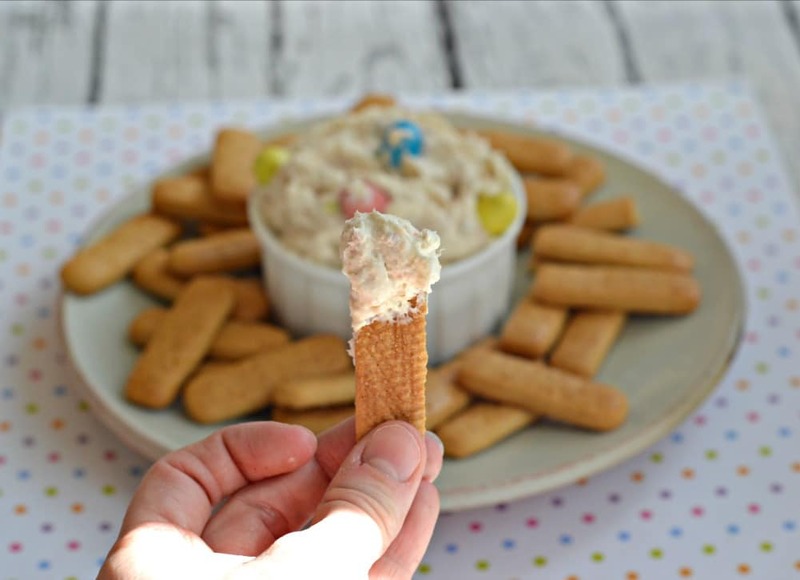 I served it with graham cracker dipping sticks which was the perfect dipper. 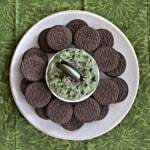 This dip is sweet with a taste of chocolate and malted milk. 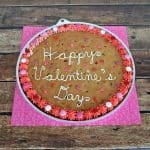 It’s delicious when served with a crunchy cookie or even with pretzels for a sweet and salty dessert. So if you don’t think you have time for an Easter dessert take a few minutes and make this tasty treat in under 10 minutes! A quick and delicious dessert that is easy to whip up in just 5 minutes! In a large bowl combine the cream cheese, powdered sugar, vanilla, vanilla cookies, Easter malted milk balls, and heavy cream. Beat on medium speed with a mixer until well combined. 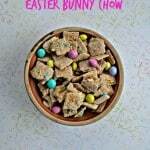 Place in a bowl and top with Easter malted milk balls. 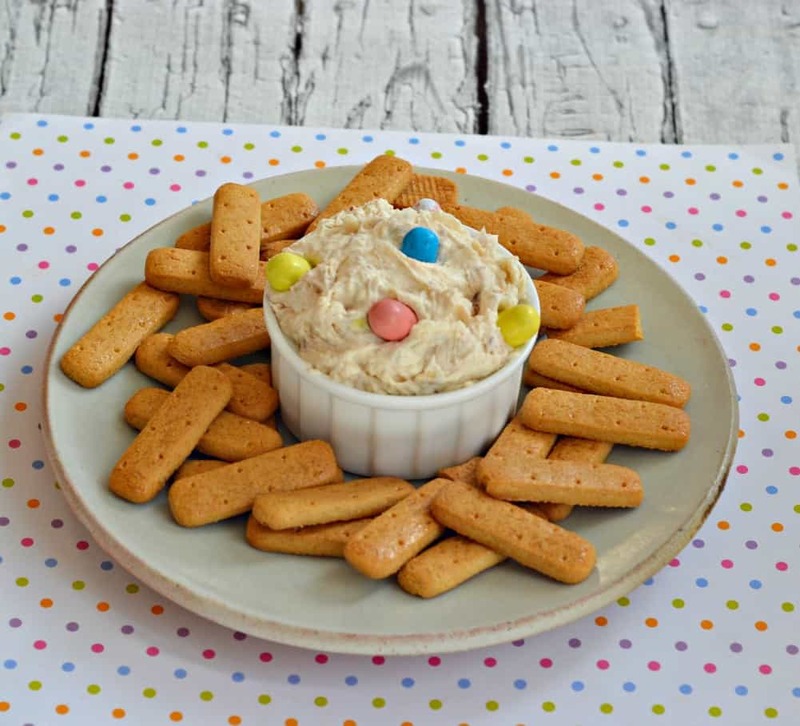 Serve with graham cracker sticks. 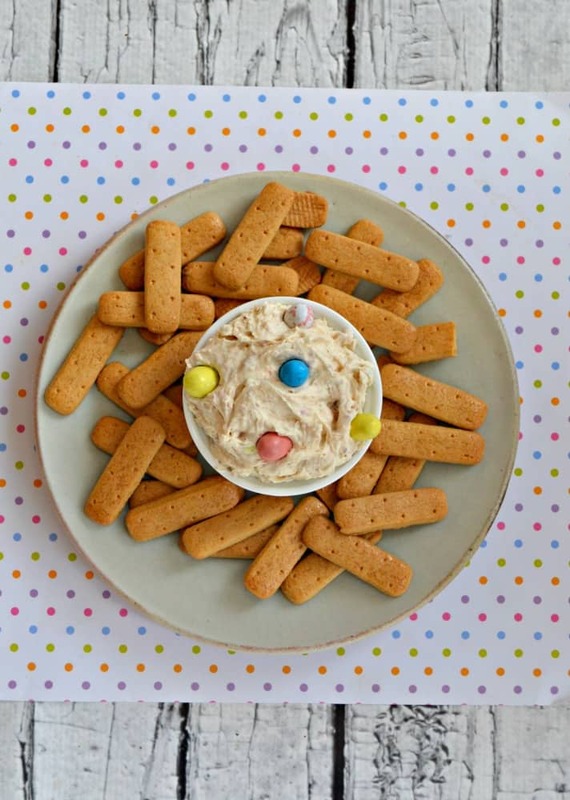 I love those malted milk eggs….I think this would be a very dangerous dip for me to have in my house. It would never last until the guests arrived. 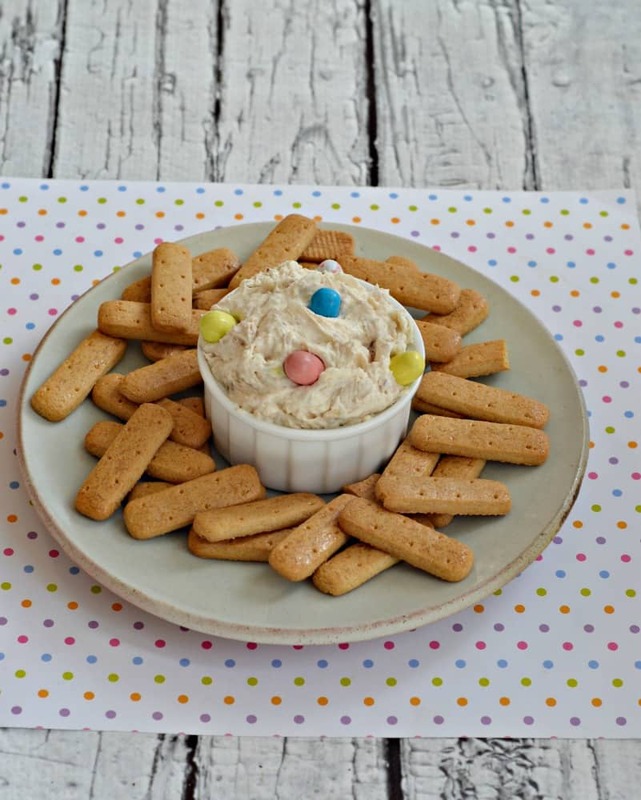 This would be fun to have as an appetizer or dessert on Easter!